It’s that time of year again! We’ve printed our little hot ends (haha, get it?) off this year! Did you? It’s time to look back at the year and see out of all the new and existing 3d printers who topped this list! If you’re still thinking Christmas gifts, there is still time to order and get delivery for Christmas for most models. We also threw in a few fun holiday prints for you to get creative with! Most importantly we wish you all a Merry Christmas! We’re getting ready for our first Giveaway of 2016. We can’t tell you what it is and the only way you’ll find out is if you’re on our email list. If you’re not already subscribed use the green bar at the top of the page to get in before it’s too late. Ok, ok, here’s the list! • This printer goes for $1,825.00 on Amazon. 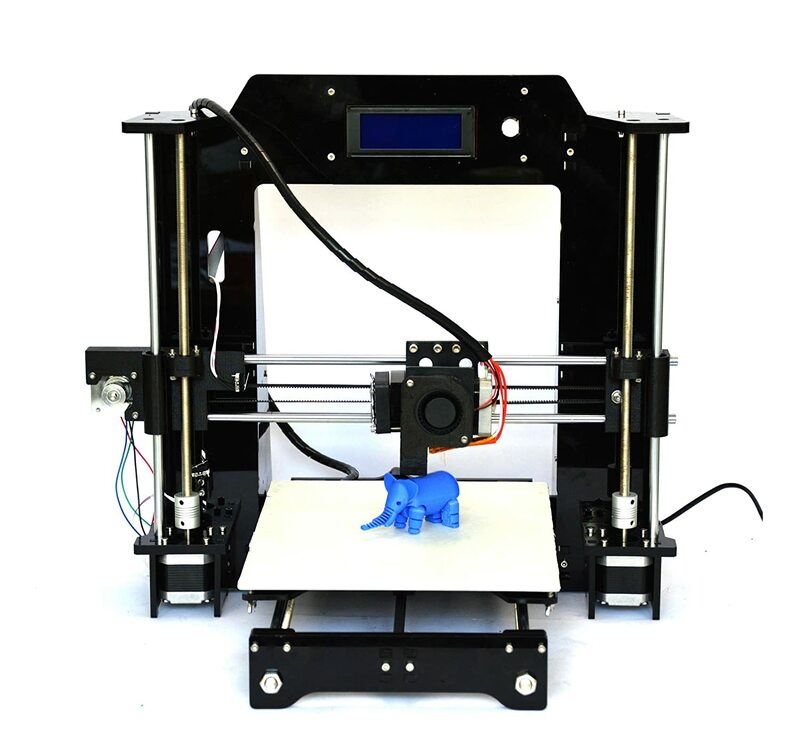 • It is an open design 3D printer with a steel frame manufactured in the United States. • It is a huge machine, whose dimensions are 8”x10”x 8”. • It is made to work with different materials such as PLA, PET, Nylon, ABS, and Flexible. • The components are high-quality linear motion build. The MakerGear M2 is fully manufactured in the US, in NE Ohio. It comes in a box, which contains the welcome package and other features such as a spool of PLA. All the components are 3D printed in the manufacturing plant using production printers. The power connection works both within the US and outside. The printer is in a category known as 3rd generation printers. The build quality is awesome on this machine which is why it’s one of the best 3d printers. The company only uses metal parts; there are no wood substitutes. Generally, it is easy to use and work with. For what one is getting, it is definitely worth the money. • It currently goes for $1,250.00 on Amazon. • The printer is 17” x 22 x 19” in dimensions. It weighs 25.6 pounds during shipping. • The item is only available for shipping in the United States. • It offers the ability to use a number of different 3D printing technologies such as OctoPrint, Slic3R, MatterCntrol and others. It comes fitted with the CuraLulzBot Edition. 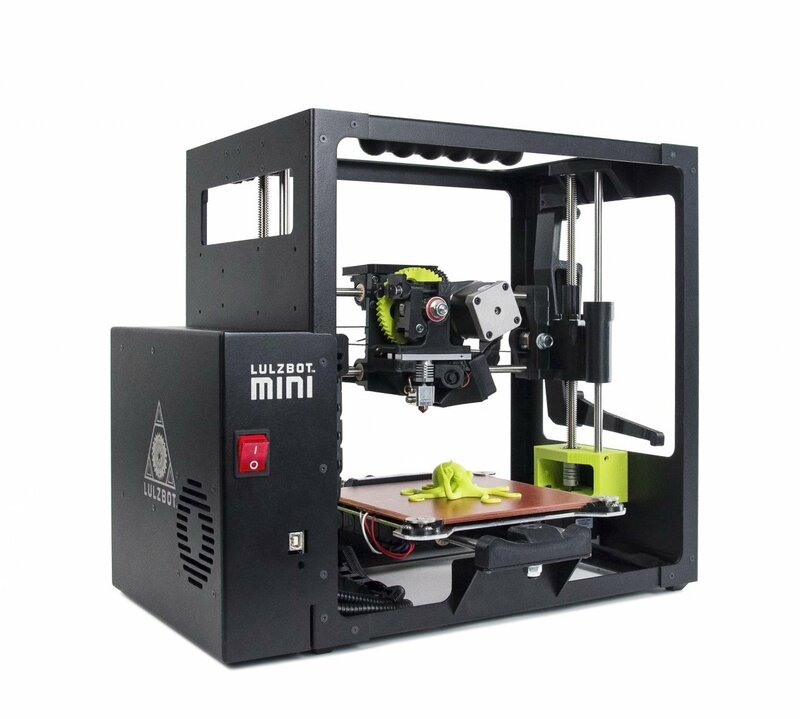 The Lulz Bot Mini is an open source device, which gives users immense freedom. The manufacturer recommends that users buy their own filament along with the printer. The printer comes fully assembled. Comments were positive about this printer. It arrives on time and the assembly quality is superb. Most other printers that come preassembled have problems with calibration. The printer also runs very quietly. • The printer currently goes for $999.00 on Amazon. • The printer comes with a full warranty and lifetime maintenance by the manufacturer’s experts. • It comes with a high-grade aluminum heating plate. As a result, one is assured it does not distort during printing. • An upgraded metallic frame that is sturdier than the original wooden frame. The Flashforge Creator Pro works perfectly well with the PLA and ABS materials. The use of aviation grade aluminum on the build platform is quite impressive. As a result, one is assured that it does not warp during printing. The use of a sturdy aluminum frame is quite commendable. The printer is quite impressive. This is made even better by the company’s amazing customer support. • The printer currently costs $369.99 on Amazon. • HIC technologies are the only certified seller of these printers. • The assembly is DIY. This provides users with an opportunity to learn about 3D printing. • It is very precise during printing. The HICTOP Prusa supports the use of ABS and PLA printing materials. The printing area is 270mm x 200mm x 170mm. It works on both MacOS and Windows OS. The printer weighs 8kg. It works best in temperatures between 10-30 C and humidity of between 20-50%. The printer is a cheap DIY type. For beginners, this is a great way to learn about 3D printing without spending too much. • The printer costs $2,200 on Amazon, which is inclusive of shipping. • It is an open source 3D printer for both hardware and software. • It works with most materials including HIPS, PET, PLA, ABS, Nylon, Wood-Filled PLA, Ninja/Semiflex TPU and others. 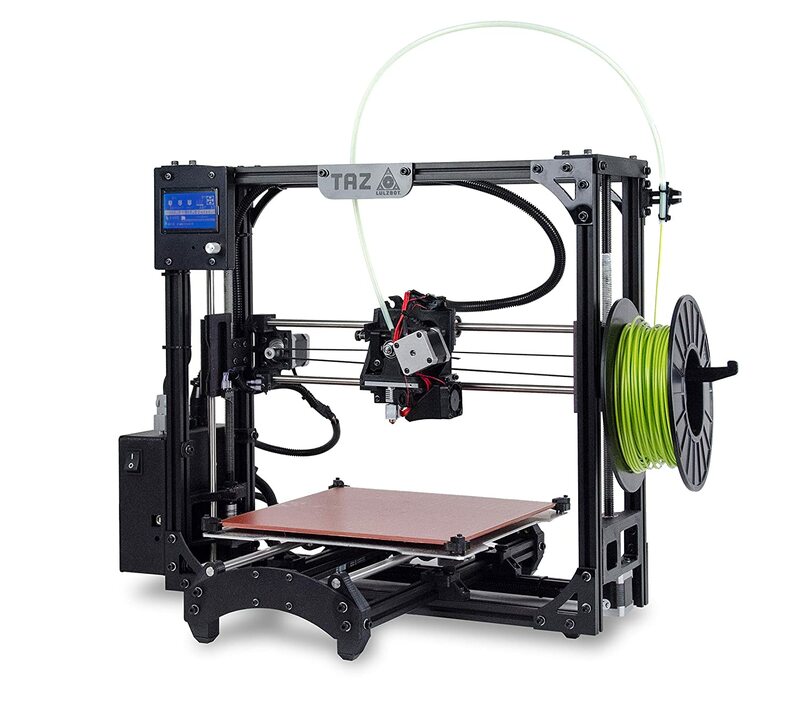 Like all other LulzBot printers, this Taz 4 is an open source device, both in hardware and software. The package comes complete with user manual. This device uses almost all printing materials currently available in the market. The printer utilizes a 5mm nozzle, which makes the entire process much quicker. The printer is well calibrated and rarely requires any adjustments to be made. • This printer is being sold for $499.99 on Amazon. • It supports the use of biodegradable PLA. • Calibration can be done using the LCD screen, which saves time. This XYZ Da Vinci 1.0 printer is among the cheapest 3D printers. It is a great addition to any classroom or office, to get students interested in 3D printing. In addition, the printer consumes a very little amount of power, only 75 watts. This printer does have a learning curve. This is great as it allows one time to learn the ins and outs of 3D printing. 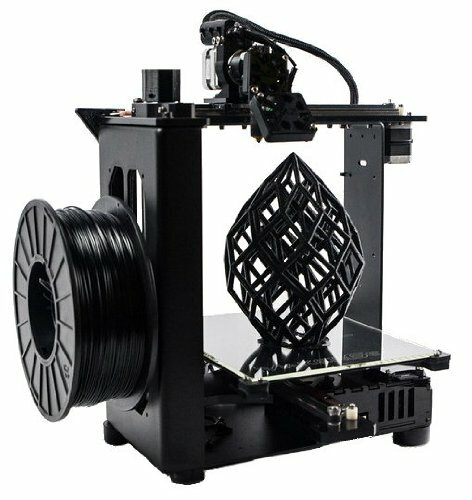 Best of all, it is dirt cheap, which is great especially when compared to some other 3D printers. This is why it is among one of the most wished for 3d printers. 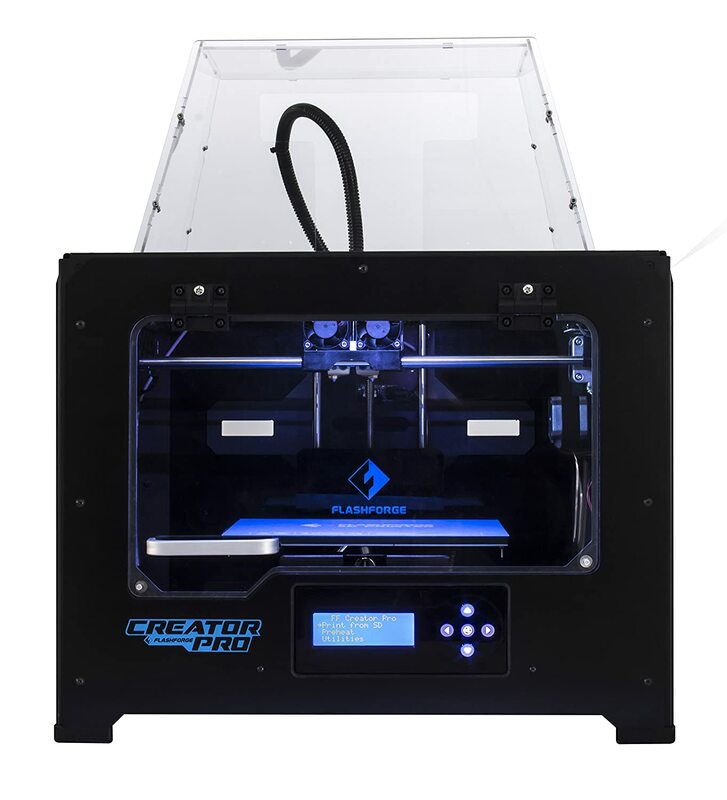 • This 3D printer costs $1,099.00 on Amazon. • It comes equipped with the HD IPS touch screen. • It has an enclosed chamber to protect and insulate the prints. • It comes with a full warranty and lifetime maintenance. The Flashforge Dreamer is among one of the most functional and affordable 3D printers. The printer is fitted with the latest proprietary technology Flashforge has on offer. Another great innovation is the use of Bluetooth technology. This one of the best 3d printers that is available in the market. It has more precision than other similarly priced printers do. It clearly outshines the competition. • The printer currently cost $899.00 on Amazon, which is inclusive of shipping. • It has onboard software, which can be used as stand-alone if needed. • The printer comes pre-assembled, which makes use very easy. • The touchscreen is available in full color, which optimizes the user experience. 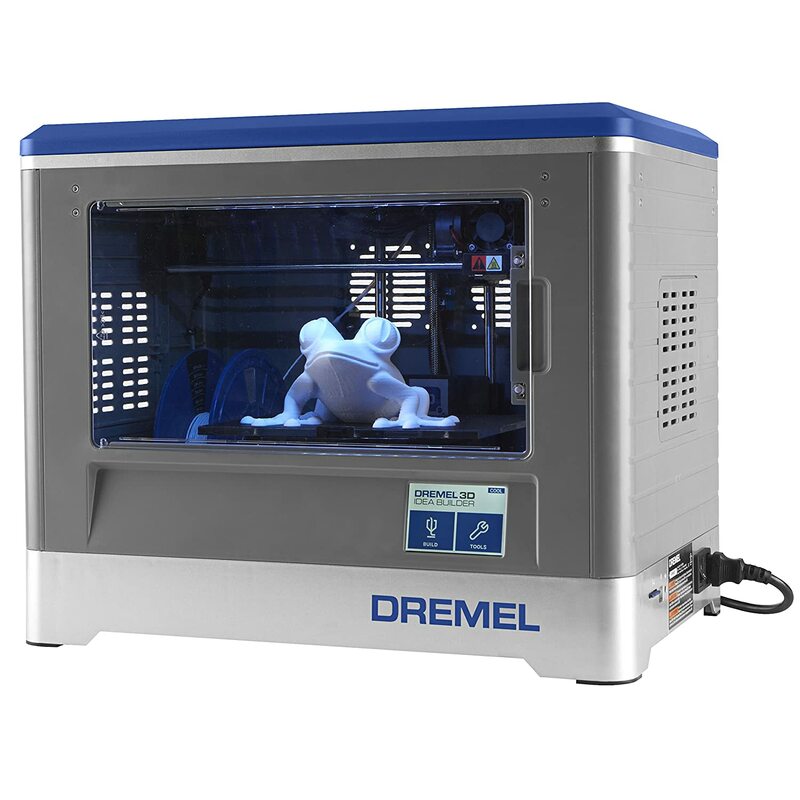 The Dremel 3D printer is quite easy to use. One can create virtually anything with this printer. The printer comes with customer support. This is a great way for one to learn about 3D printing and be inspired to create innovative designs. The customer support by Dremel is amazing. They have customer support available as soon as one needs it. This printer is totally worth the cost. • It costs $1,099.00 on Amazon; this is inclusive of free shipping. • The printer comes with two extruders, which makes the printing process much faster. • Full warranty and lifetime maintenance by Flashforge technicians. The Flashforge Dreamer comes with Wi-Fi, which is quite awesome. 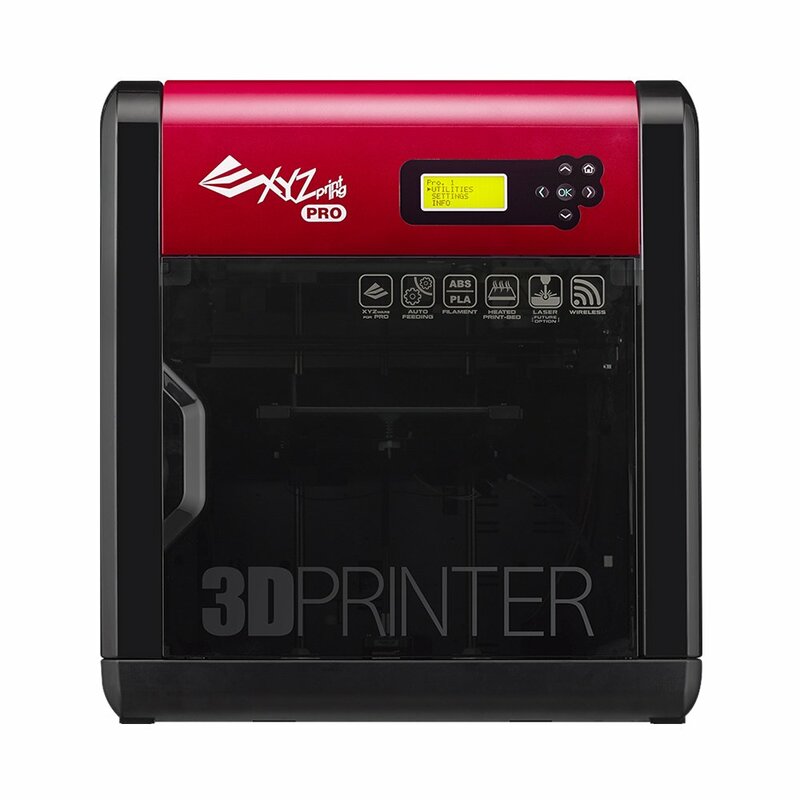 The printer features the latest in 3D printing technology and a high-resolution touch screen. This makes using the printer fun and easy. The printer looks and feels sturdy. In addition, the customer support is amazingly quick to respond and quite helpful. • The printer goes for $2,200.00 on Amazon; this is inclusive of shipping costs. 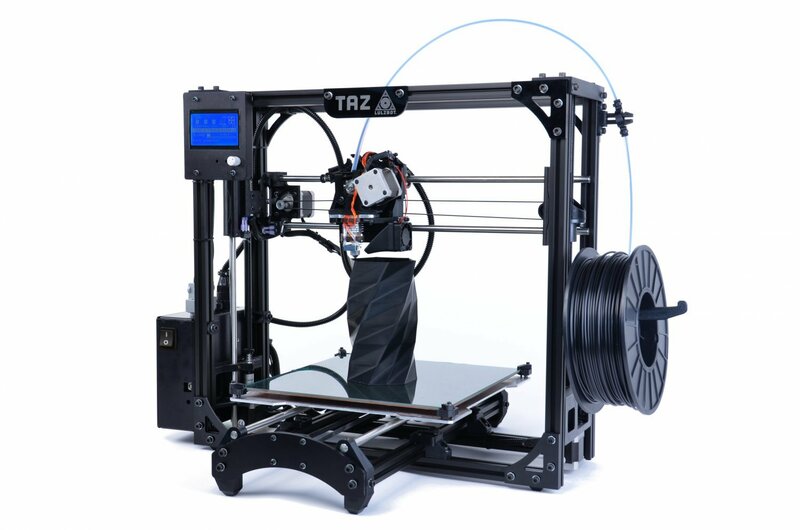 • The TAZ 5 uses both open source hardware and software. • This printer can be used for a variety of materials. Like all other LulzBot 3D printers, the Taz 5 this one can utilize a wide variety of printing materials. This is why is among the most wished for 3d printers. The first time using the machine can be a bit bumpy. However, after the first two or three trials while carefully reading the instruction, using this printer should be a breeze. • This 3D printer costs $2,300.00 on amazon. • The printer won the CES innovation award in 2014. • The printer utilizes the SLA 3D printing technology. The SLA technology used in the Form 1 3d printer is the gold standard. The printer comes with a very simple setup. In addition, the proprietary printing materials and software used are quite innovative. 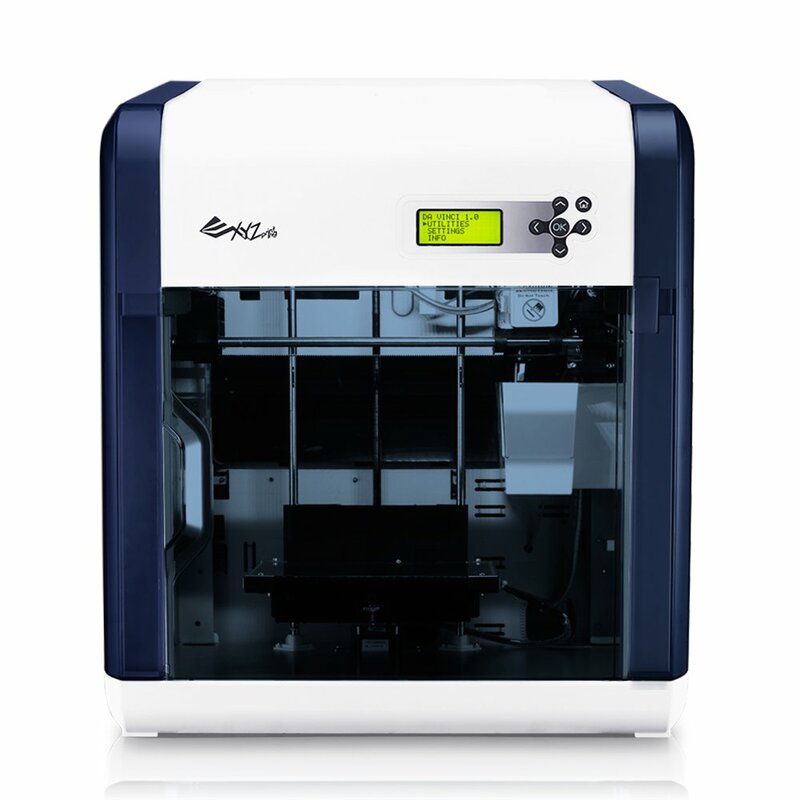 At the price it is offered, this one of the most affordable and precise SLA printers. In addition, customer support is top-notch. This is necessary for such a high-quality printer. • This printer goes for $999.00 on Amazon. There is an additional fee of $82.50 for the shipping costs. • The assembly manual is quite detailed and useful. • The DIY kit is an awesome way to build knowledge on 3D printing. The RoStock Max V2 has a very low parts count. This makes the process of setting it up quite easy. With a huge printing volume, one can work on almost any project using this printer. There is great community support around this printer. Many people love to use this printer to create many innovative designs. The instruction manual for this printer is excellent. The printer will give newbies of 3D printing a fun experience. It is a great way to learn about 3D printing. • This 3D printer costs $599.00 on Amazon, which is inclusive of shipping. • The filament is open source, which means may use ABS or PLA filaments. • The printer comes with Wi-Fi connectivity. This XYZ Da Vinci 1.0 PRO is among the easiest to use. It comes with an extruder nozzle that is adjustable. This makes it possible to use with third party filaments. The high-grade aluminum plate reduces the risk of warped designs. The software is highly adjustable, which gives an opportunity for one to express their creativity. The laser-engraved add-on is quite an innovative and useful feature. However, the greatest feature about this 3D printer is how easy-to-use it. The build quality is also top notch.